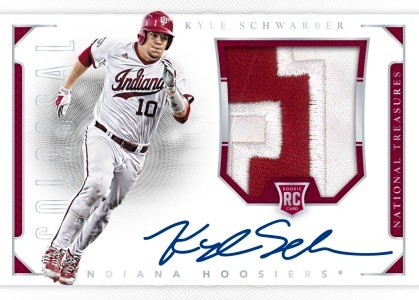 Growing their NCAA coverage, 2016 Panini National Treasures Collegiate Baseball puts the NT quality on the top college athletes of the past. Each eight-card box of the debut release contains six hits. 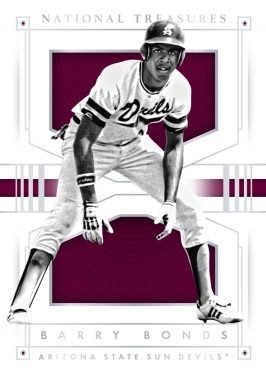 Concentrating on the very best of college baseball history, the base set is limited to 99 copies with Silver, Gold, Black and Blue parallels, each numbered to 25 or less. 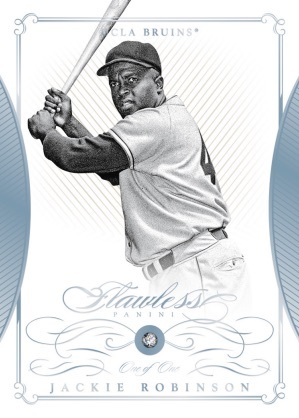 While technically one of the hits, and from another brand, Flawless Diamond base cards (#/20) include an actual diamond. Ruby, Sapphire, Emerald and Flawless Diamond (1/1) parallels switch the gem. 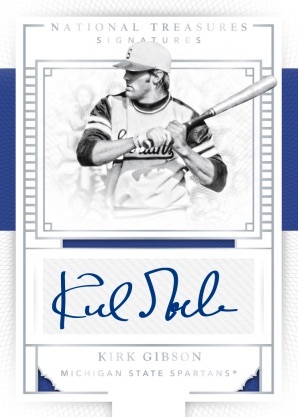 Given the high-end pricing, many of the 2016 Panini National Treasures Collegiate Baseball hits include on-card signatures. Among these are Material Signatures, Colossal Signatures and Team Logos inserts. 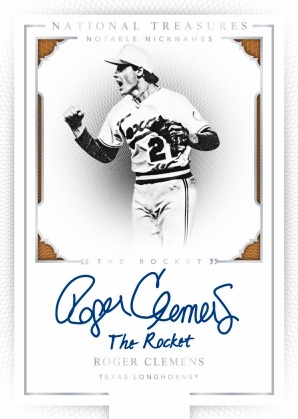 Notable Nicknames adds an inscription from college legends while the main Signatures set is numbered to 25 or less. Pairing a relic and autograph in a book design, the Combo Player Signature Prime booklets highlight top 2016 rookies with Team Logo swatches. Bringing game-worn NCAA gear into the equation, Materials includes players like Barry Larkin, Buster Posey, Gerrit Cole, Mark McGwire and Paul Molitor. 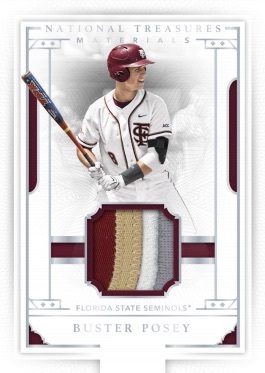 Shop available 2016 Panini National Treasures Collegiate Baseball cards on eBay.